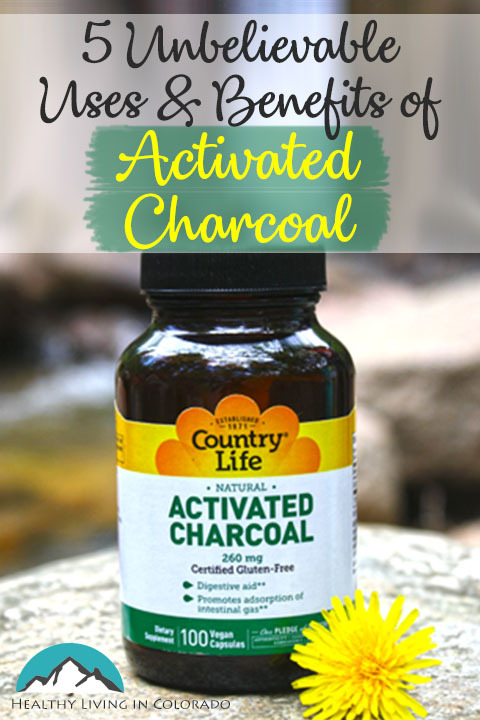 Charcoal has so many fantastic uses and benefits in your home and when you travel. Have a look! My fling with activated charcoal (also known as activated carbon) started a few years ago when we lived in China. Someone in my family was almost always feeling sick the first few months we lived there. The diet, toxins, spice level, and new germs were too much for us. Enter charcoal. I remember being at a restaurant run by foreigners in our city and mentioning to our American waitress how happy we were to be eating familiar food that wouldn’t make us sick. She had lived in China longer than we had, and said she just used charcoal. And she said she always felt better after taking it. Well the search was on! Where was this charcoal I had never heard of? I needed it… like yesterday! She said she had not been able to find it in China, but she brought it back from the States with her. Or she bought it in Thailand. As fate would have it, we went to Thailand a few months later. I stocked up! You would have thought I won the lottery. I had never even taken it before but was excited for what benefits it would hold for our upset stomachs. We were not disappointed! As soon as one of us started feeling the least bit queasy, I would pull out the charcoal. I really believe it helped each one of us multiple times as our bodies would often be hit with random bouts of nausea, gas, and the beginnings of diarrhea. Then the symptoms would quickly go away most of the time. My family has mostly used carbon for upset stomachs the last few years, but the more I use it for other things, the more I like it. Here are some other ways to use it. I make my own toothpaste, and my holistic dentist told me to add charcoal powder to my toothpaste to help whiten my teeth. So I did. It helped my teeth get a couple of shades lighter at least. Charcoal, or carbon, also purifies water. My family bought a Berkey water filter system about a year ago, and it tastes so good! Neighborhood kids, who I have seen with national water bottle brands a lot, even comment on how good our water tastes. And my kids don’t like water in bottles anymore because they have become water snobs, only liking our Berkey water. Anyway, carbon is the filter method Berkey uses. It takes out chemicals and the bad taste of tap water. 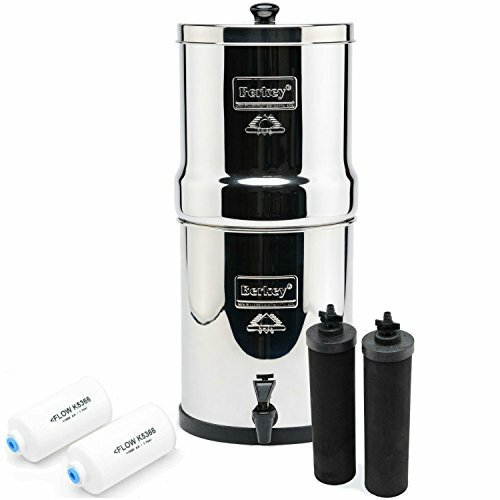 You can read more about our Berkey water filter here! 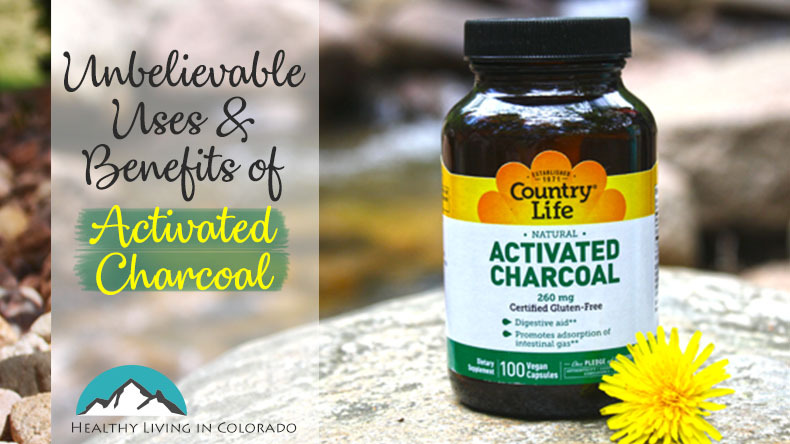 Activated charcoal can be used as an antidote for an accidental or purposeful drug overdose. Thankfully I have never needed this one, but it’s good for people to know, especially moms. As most of my regular readers know, my family loves the outdoors. We keep charcoal in our hiking backpack in case of a snake or spider bite. There are lots of rattlesnakes where we live, and charcoal can help with venom from a snake bite. Also it can help when it’s applied to a black widow or brown recluse bite. “To treat bites from snakes and spiders, cover a larger area (with charcoal and coconut oil), more than just a small bandage, as the bacteria and viruses that lead to tissue damage need to be mitigated quickly,” according to Dr. Axe. I also use charcoal for an easy facial mask which smoothes out the skin and helps with blemishes on your face. Activated carbon has many wonderful uses, and I am still trying out new ones. I hope you find these tips helpful. If you want more specific medical information, Dr. Axe’s article is really good. If you’re ready to get started, shop here! 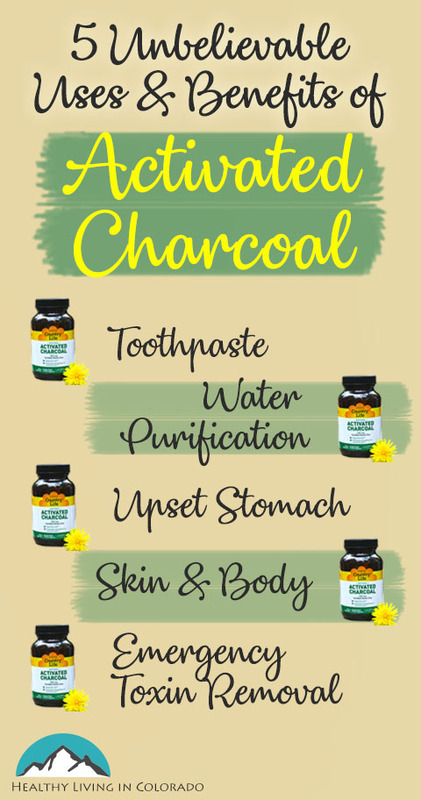 Please post your favorite uses for charcoal below, along with your results! Please share on Pinterest if you found this helpful.